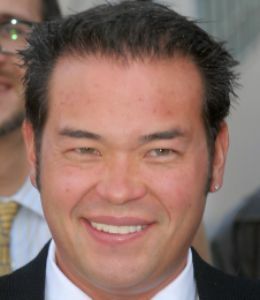 Jon Gosselin says people just don't get him. "I think I'm just misunderstood," Jon, 32, said during a speech with celebrity Rabbi Shmuley Boteach (who had also advised Michael Jackson) at the West Side Jewish Center on Sunday night in New York City. Continues Jon, "I'm not a fame seeker. Every day I look in the mirror and I wonder [why I'm famous]. I don't sing. I don't dance. I'm not a Nobel Peace Prize winner. I just had eight kids and I had a show on TLC." Jon -- who didn't wear his trademark CZ earrings -- says he became obsessed with being a celebrity. But in the process, the dad of eight admits he wasn't always on his best behavior by being photographed in nightclubs. "Half the stuff I've done, if I look at my moral compass, I shouldn't have done," he said. "I know that but I did it anyway. It's like fame canceled out conviction." He also regretted taking Hailey Glassman, 22, on a very public vacation to St. Tropez in July -- days after announcing his split from Kate in June. "We shouldn't have gone to France," he said. Jon also said he'd like to apologize to Kate in private for "openly having relationships in the public eye. That was a huge mistake, because if she would've done that to me, I would have been extremely pissed off. Not because our relationship is over, it's almost like a stab in the back. And now that I think about it, it was a very wrong thing to do. I definitely regret it." He went on, "It's hard for me because I can't forgive myself for the things I've done," he said. "So to ask for forgiveness from someone who may never forgive me is tough for me. I do apologize to Kate. I'm sorry for doing the things I did. I do ask for her forgiveness."